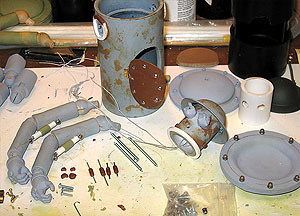 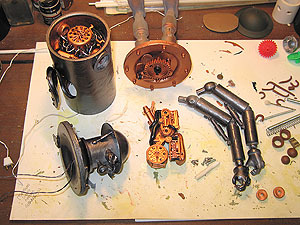 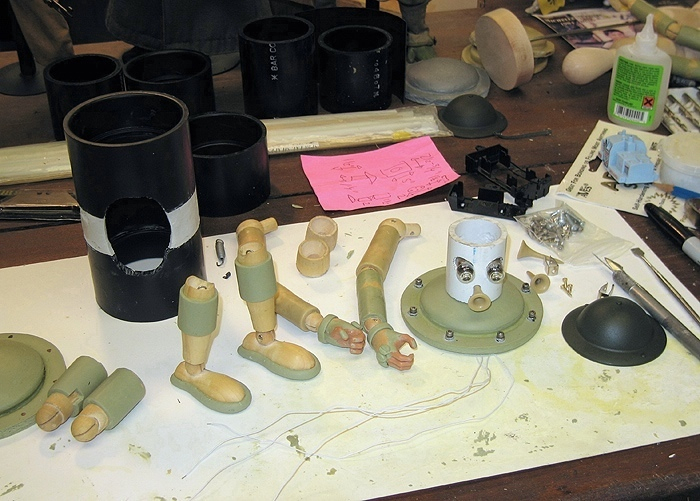 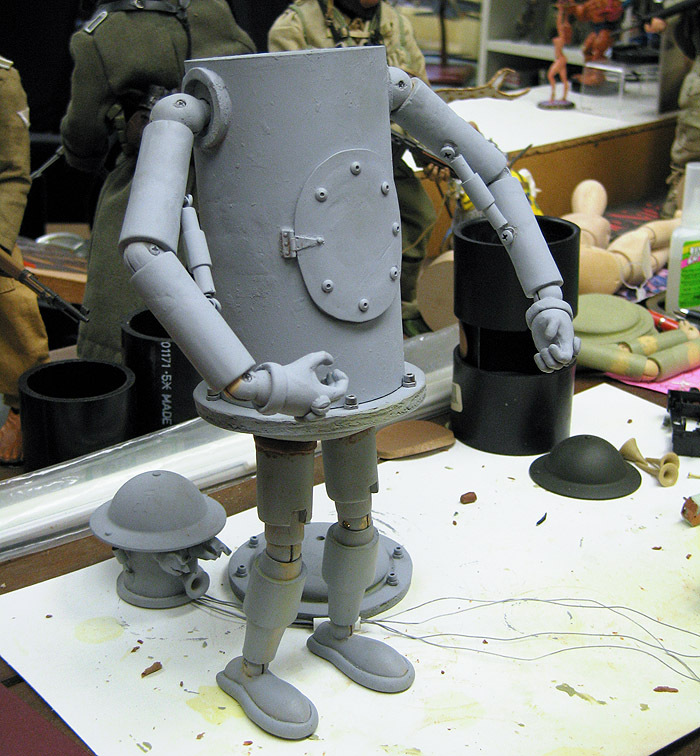 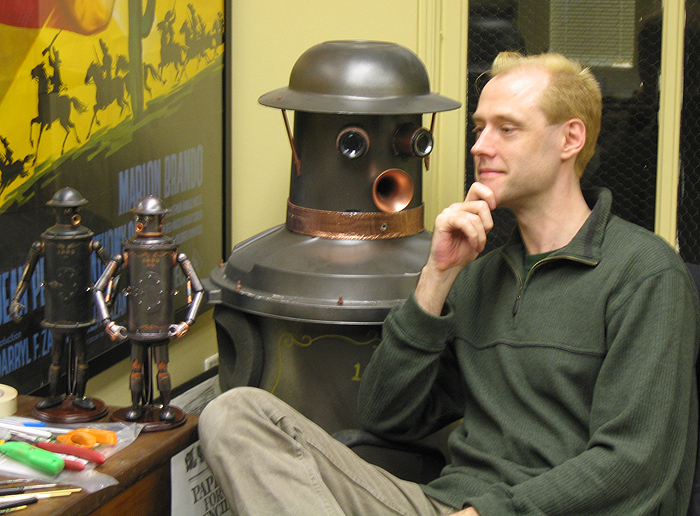 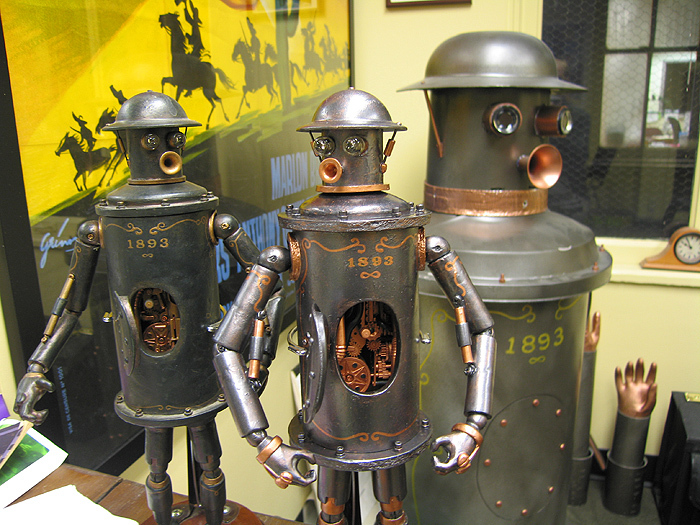 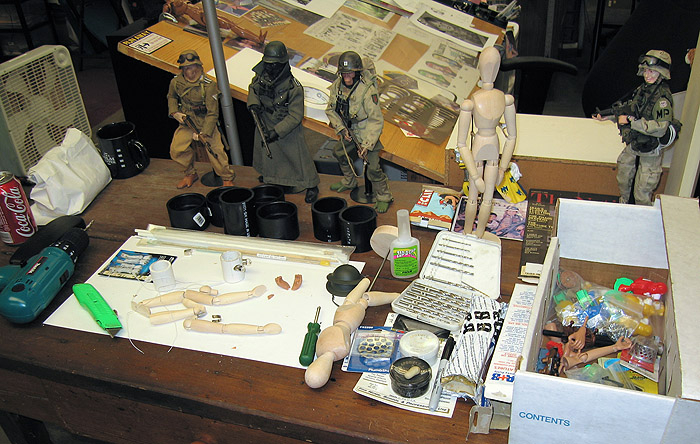 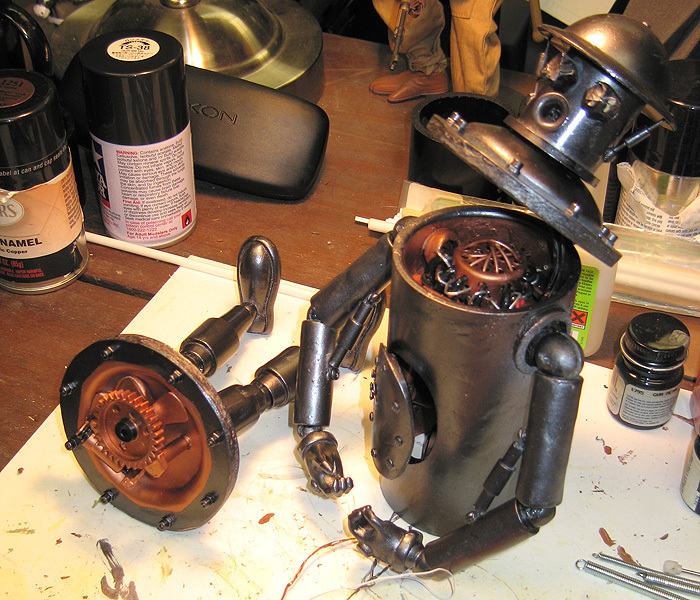 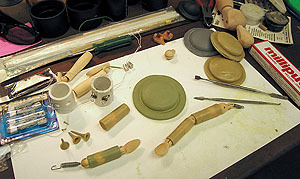 This page documents the construction of a 1/6-scale Boilerplate figure. 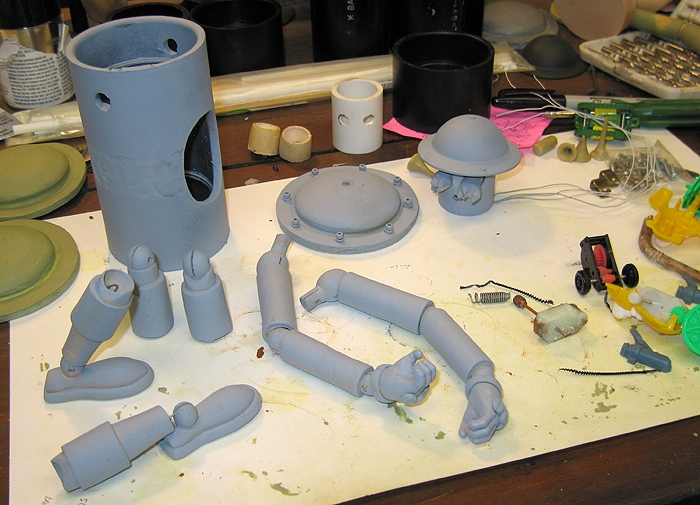 Only four of these articulated maquettes have ever been constructed! 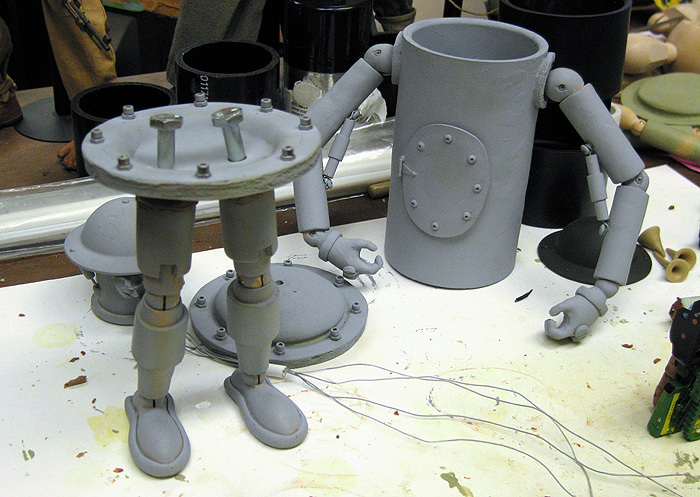 Above: One of the most difficult parts of the build is balancing the figure so that it can stand on its own (although I wouldn't recommend it, as it topples easily)! 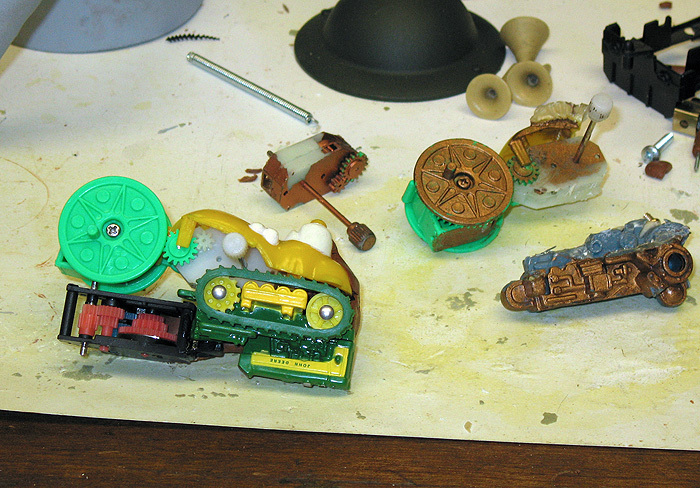 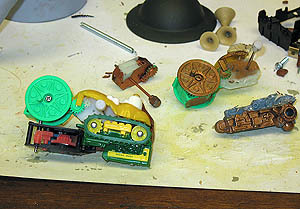 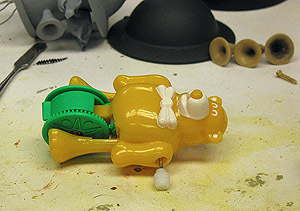 Left: Boilerplate's wind-up "guts" begin life as a novelty toy. Below: Tests prove the hinge of the chestplate is not strong enough to withstand the stressful conditions Boilerplate was built for. 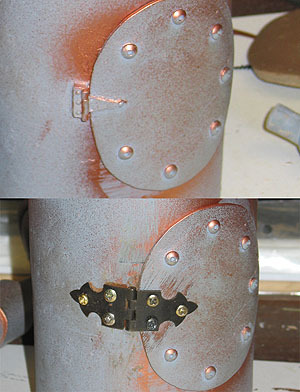 The hinge is replaced with a combat-strength version. 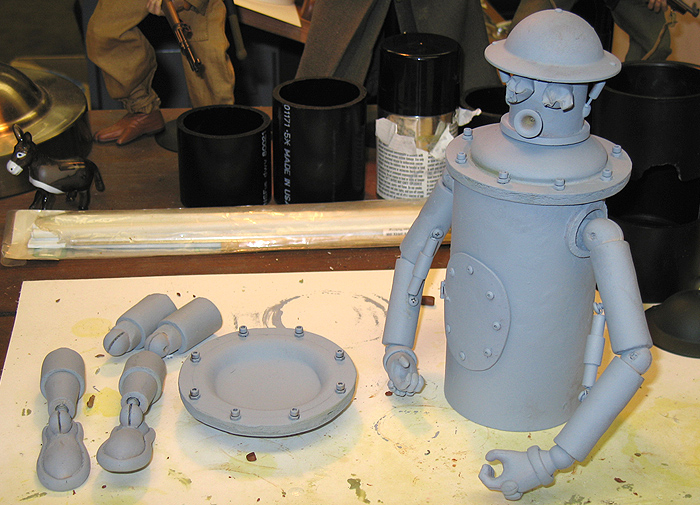 The original Boilerplate visits the latest model.